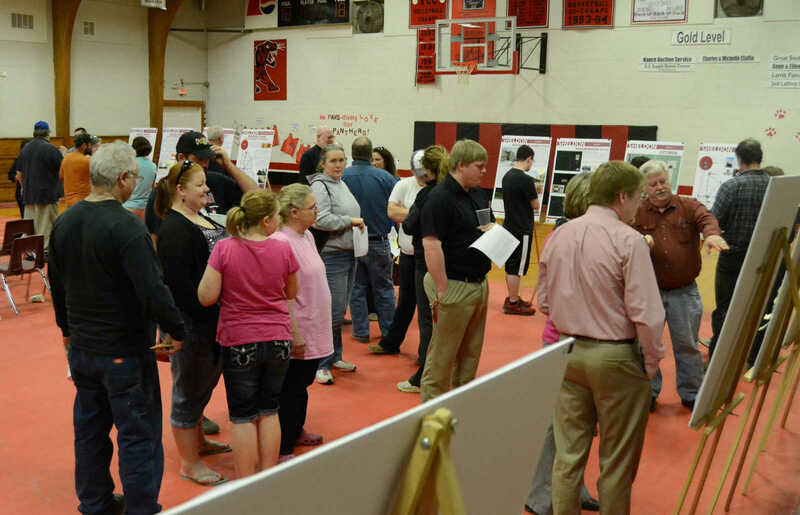 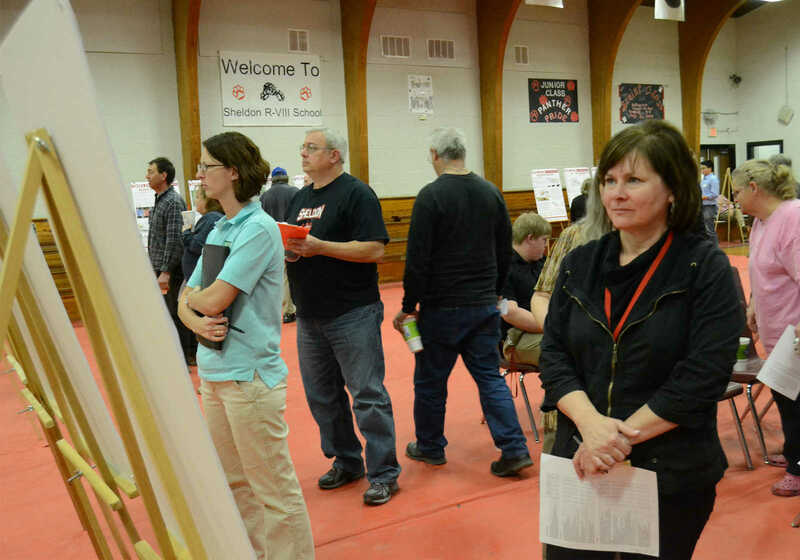 Sheldon residents look over the student boards detailing inital concepts for Sheldon during the second vision meeting on Monday. 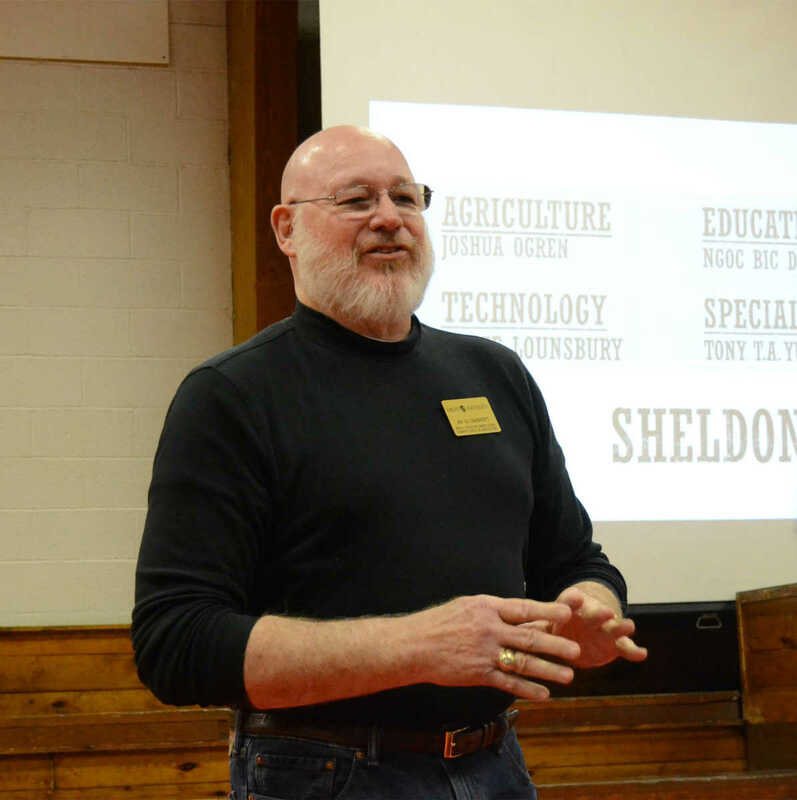 Drury professor Jay Garrott speaks during the second vision meeting in Sheldon on Monday. 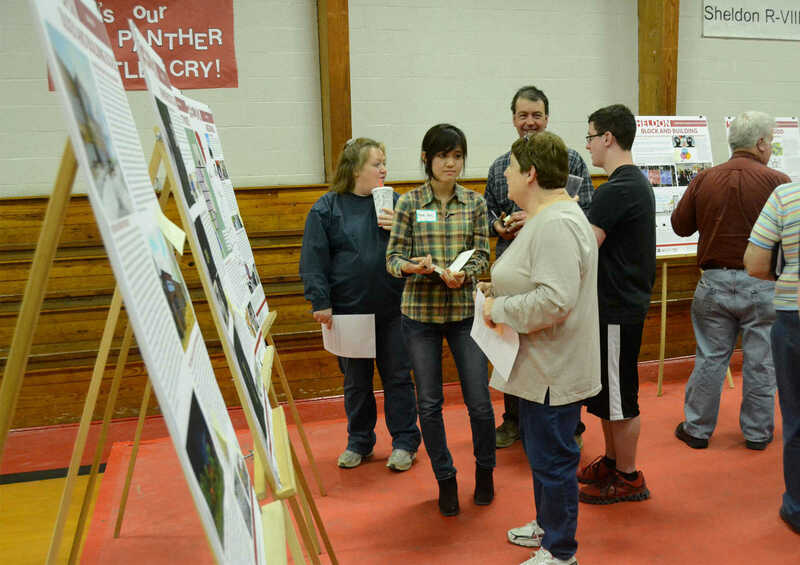 Tony T.A. 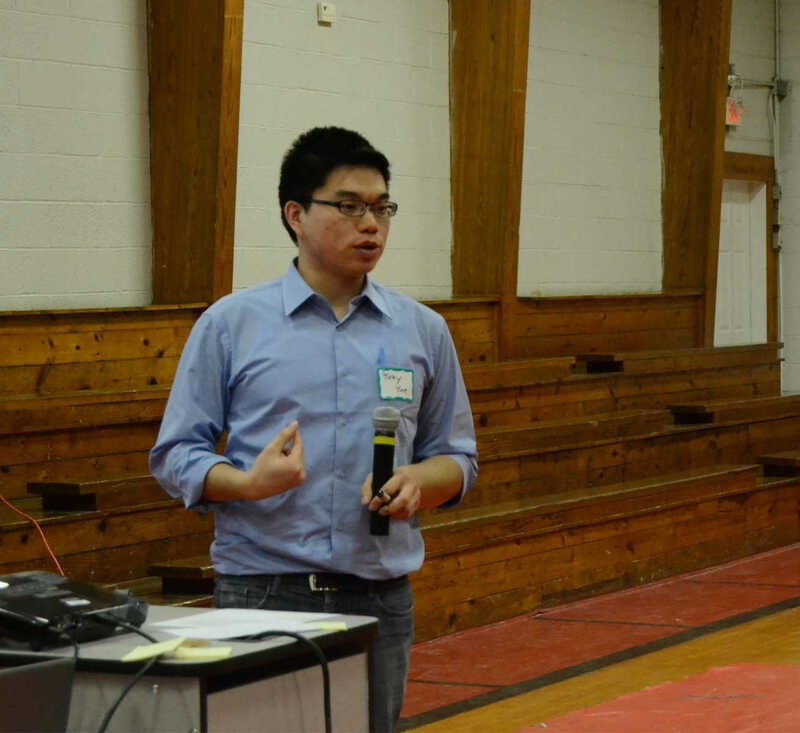 Yue speaks about specialty business ideas for Sheldon during the second vision meeting in Sheldon on Monday.